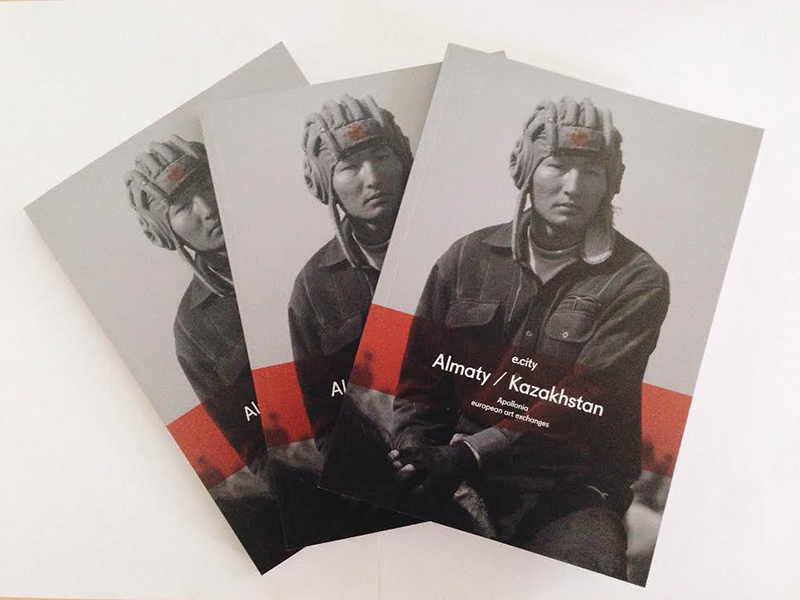 Trilingual edition (English, French, Russian) which covers all the events of the project “e.city – Almaty / Kazakhstan“. Two major texts were written by the impending Kazakhstani art critics, Valeria Ibrayeva and Yuliya Sorokina, to draw up an inventory of the contemporary art scene of Kazakhstan in connection with the exhibition “Life is a legend” and the projection of Kazakhstani video art in Strasbourg Museum of Modern and Contemporary Art. A chapter presents Syrlybek Bekbotayev’s solo exhibition in Stimultania and a great part of the catalogue is dedicated to the work initiated by Alexander Ugay with students of the University of Strasbourg. You can order it by contacting Apollonia, you will only have to pay for delivery charges.